The Cheesecake Factory® (NASDAQ:CAKE) is delivering delicious treats this week in celebration of spring. 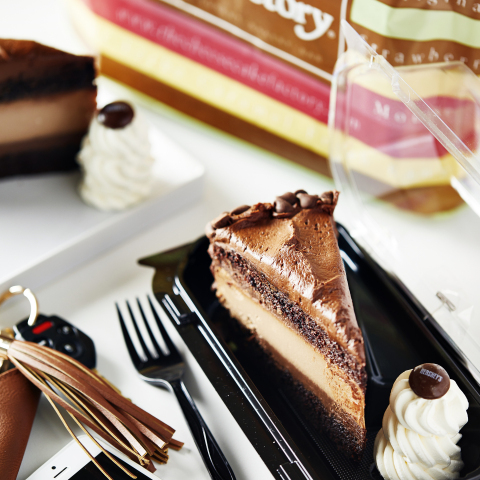 Today through Easter Sunday, April 21, guests will be treated to one complimentary slice of The Cheesecake Factory’s famous Reese’s Peanut Butter Chocolate Cake Cheesecake or Hershey’s Chocolate Bar Cheesecake with their Cheesecake Factory delivery order of $30 or more through DoorDash by using promo code “SPRINGTREAT” at checkout*. The REESE'S trademark and trade dress are used under license.